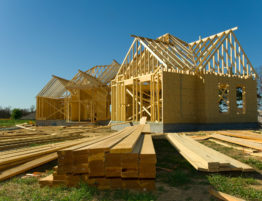 Are you considering building a home in Washington? Or do you want to add on to remodel the one you already have? If so, you’re probably looking for a builder. Washington State has some special characteristics you should keep in mind. Your builder should have construction experience appropriate for where you want them to build. So how do you choose the right builder? What kind of experience should they have? If you’re asking yourself these questions, you’ve come to the right place. 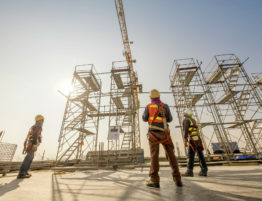 Here are eight things you want your home builder to have experience with when building in Washington State. It’s no secret that Washington State experiences a lot of rain. While it’s not one of the wettest states in the country, on average it does get around 38 inches of precipitation each year. That means if you’re wanting to build houses in Washington, your builder needs to know how to accommodate that amount of moisture. Things like flooding can be major issues, so you’ve got to plan for that from the very beginning of the building process. The more knowledge your builder has of building in high precipitation areas, the better off you’ll be. Implementing anti-moisture and precipitation features will help protect your home. Various permits will have to be obtained, whether you’re starting from scratch or building on to your current home. Your builder should have all appropriate knowledge of the permits needed and how to get them. They should know all about timing, too. Some permits take a while to get. If something might take a few weeks, they should be able to tell you that. A builder who lacks this knowledge will skip important steps in the building process, and provide you with an incorrect timeline. Washington has its own set of rules. Because of this, it’s best to choose a builder who has experience working in this state. Certain areas tend to have their own sort of vibe and style when it comes to architecture. Unless you want your home to stick out like a sore thumb, you probably want your home to follow these trends. The builder you choose should know about what types and styles of architecture are typically used in the area. This doesn’t mean your home can’t have unique features. But it could spare you the embarrassment of having architectural stylings that draw a lot of attention for the wrong reason. Are you likely to find cactus or palm trees in Washington? Probably not. That’s more the sort of thing you’d find in California or Arizona. Why? Because the climate suits them. Much like you’ll see certain plants in the Southwest, you’ll see trends in landscaping in Washington, too. Choose a builder who has this type of knowledge. You’ll want plants and landscape features that work well together and with the soil, climate, and lighting in the area. Otherwise, your yard won’t be able to look its best. The terrain in Washington can be very different than the terrain found in other areas. And, there are different terrains within the State itself. Because of this, your builder should have experience working with different types of terrain. You might have soil that’s full of large rocks or clay. You might have a sloping plot of land that could be prone to landslides if not handled correctly. Different terrains must be handled accordingly. Knowledge of various terrains helps your builder construct a home that’s specifically meant to last in the location it’s built. Is there a certain style of home that tends to be seen in the area where you’re located or building? Most likely there is. Your builder should have knowledge of that. You don’t have to do exactly what everyone else is doing, but knowledge of popular home styles can help you make the right decisions. You may find that certain styles are used because they fit the climate or terrain better. Your builder will help you understand these things and make the best decision for you and your new home. Without a doubt, it’s like that some sort of problem may arise during the construction process. You may even have multiple issues arise. That doesn’t mean it’s time to panic. That’s pretty normal in construction, especially during a remodel. There’s no need to worry if you’ve chosen a builder who’s used to this sort of thing. They’ll handle any issues that arise like it’s just regular business. The problem will be dealt with and everyone can move on. Getting a project right takes time. You don’t want a builder who’s not in it for the long haul. If your builder is simply focused on getting his work done as quickly as possible, your home will likely suffer. So choose someone who’s got some experience. He’ll know that quality work takes a while, so he won’t be afraid to take that time to make it happen. At the same time, he’ll know how to stick to a schedule and make everything happen as close to when it should as possible. 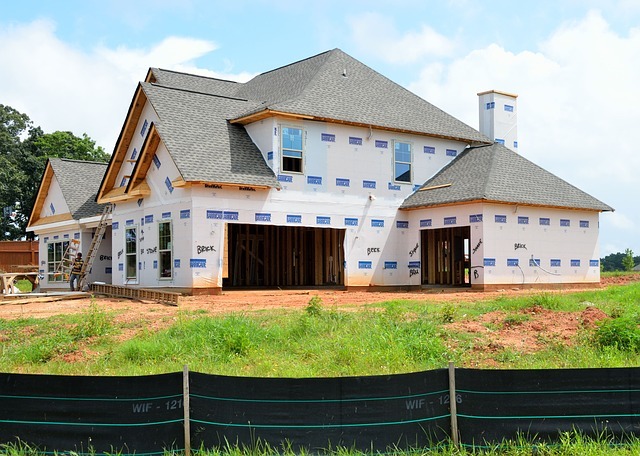 Whether you’re looking to create a new home in Washington, or change the one you already have, look for great construction experience in your builder. Never go with someone who doesn’t have the knowledge to do the project the right way. Keep these specific skills in mind as you search. Once you find the right fit, you’ll be on your way to having the home of your dreams. Ready to have the home you’ve always wanted? We can help you get it! Contact us today to get started. For many Tacoma homeowners, the kitchen is the most important room in the entire house….